The feud began in 1868, for reasons unknown, when the two traded drunken shots in an El Paso saloon. It escalated the following morning when Randy broke one of Frank’s ribs with a .44 slug, and their lifelong co-dependence was cast with Randy’s crushed leg; an injury caused by Frank’s misjudged pistol shot, which placed the pill in the horse rather than Randy. From there the two men dance across the Western frontier, their sole reason for living the taking of the other’s life—they trade barbs in Salt Lake City, hunt each other in Wyoming and San Francisco, and plan, with the aid of huckster Abraham Cripplehorn, a live pay-per-view duel to the death in Indian country. It chronicles, tongue-in-cheek, the settlement of the American West; from the post-Civil War expansion to its ultimate settlement and civilization. It is something of a mythology of the mythology of the West. 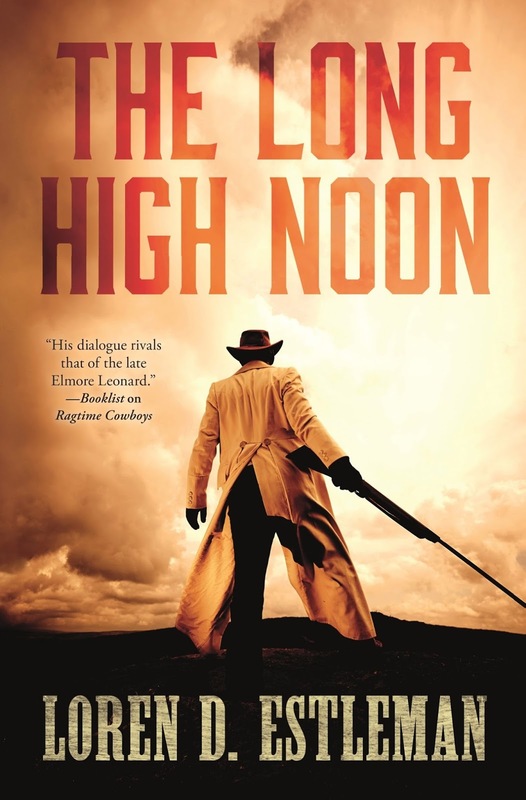 It starts with the dime novels, the sensationalism of early western journalism, the traveling Wild West shows, and ultimately the rise of settlement and the fall of men such as Frank Farmer and Randy Locke. A fall both men take quite fittingly. 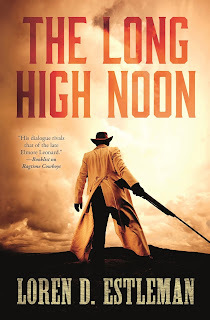 The Long High Noon is smooth, vivacious, and curious. There are moments—splashes of dialogue, shimmering narrative, clever twists—when Mr. Estleman appears to be showing off; it isn’t cheap or distracting, but rather a display of how good a writer he is. He has mastered his art, and it shows. It also displays a deep understanding of both the westward expansion and the literary genre that grew up around it; the reality and mythology wrapped into one neat package. Mr. Estleman may well be the finest western novelist of our times, and a master of surprise.